Pattinson has wooed teenage girls with his rippling eye brows and matinee-idol looks. Robert Pattinson became an overnight movie heartthrob after appearing as the ageless and attractive vampire Edward Cullen in the 2008 teen romance film – Twilight. Now, the young British actor is well on his way to the top of the celebrity A-list. 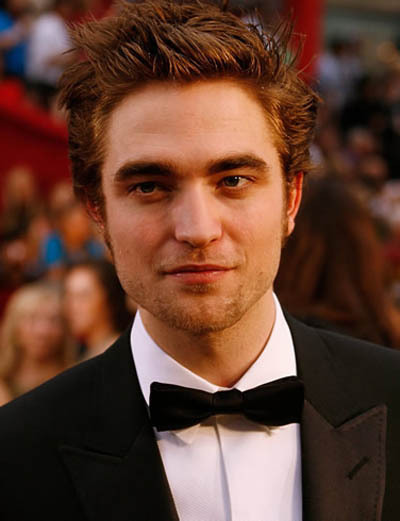 Robert Pattinson was born on May 13, 1986 in London, England. He attended Tower House School and Harrodian School. Pattinson’s first film role was playing the role of Giselher in Ring of the Nibelungs. Next he took the role of Rawdy Crawley in the movie Vanity Fair, along with beautiful Reese Witherspoon. Robert Pattinson gained fan appeal for his role as Cedric Diggory in both – Harry Potter and the Goblet of Fire in 2005, and Harry Potter and the Order of the Phoenix in 2007. Other roles included playing Toby Jugg in The Haunted Airman, as well as Daniel Gale in The Bad Mother’s Handbook. 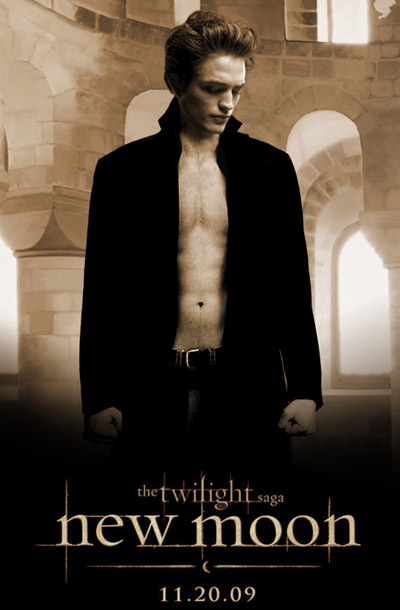 Ultimately, it was Robert Pattinson casting as vampire Edward Cullen that truly established him as a leading actor in Hollywood. With Twilight behind him and New Moon recently released, Pattinson will also star in the next two movies in the popular Twilight franchise: Eclipse and Breaking Dawn. His leading woman of course is the attractive Kristen Stewart. In his free time, Robert enjoys playing both piano and the guitar. He has two sisters and was named Rolling Stone Magazine’s Hottest Actor of 2008. In 2009 the awards kept coming. Robert won the following awards: Best Actor Award for his role in How To Be in First Glance Film Festival, Bravo A-List Breakout Award for same movie, Best Male Breakthrough Performance, Best Kiss and Best Fight for role in Twilight, in 2009 MTV Movie Awards. In February of 2009, Pattinson presented at the 81st Academy Awards. Robert was also voted “Sexiest Man Alive” in 2009 by Glamour magazine. A major honor for this movie star, Robert Pattinson was named the 2009 Sexiest Man Alive by People. It looks like he has officially solidified his place as an A-list, mainstream Hollywood celebrity.